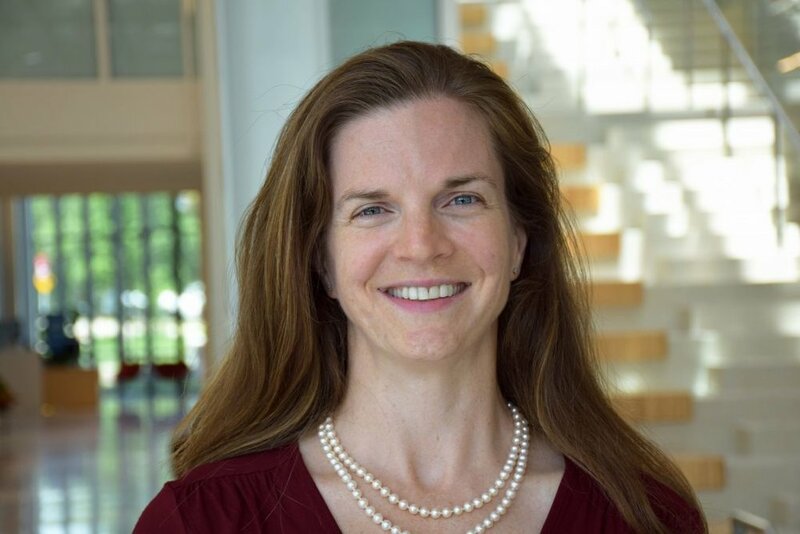 Katie Siek is an associate professor in Informatics at Indiana University in the US Katie shares her experiences being part of a dual career couple and has some excellent advice for faculties on how to handle this better. She talks about the challenges having children and learning to take proper time off with her second child. She talks about her passion for mentoring, recognized by a special mentor award and learning how to lobby upwards to effect policy change; also about building her group and their wall sit challenge. We finish with her very personal story of managing an invisible illness at work, and she calls us to have more open and honest discussions about these issues and to advocate for and support one another. 01:59 Her computer science background and the experience of her mother having cancer being the motivation for shifting her PhD topic to health informatics. 04:50 Coming back to Indiana as faculty, being part of a dual career couple, and both getting an offer –a two body opportunity. This was in contrast to previous positions in Colorado where only Katie was tenure track and her partner had a research position. 07:40 Getting pregnant during tenure process, and also going out on the job market to find a tenure position for both of them while pregnant. 11:40 Advice for how to handle dual career couples, for faculties to go after both people. 15:20 What she has learnt in having a child, getting out of algorithmic thinking and getting balance and the difficulties juggling baby and work (but worth it). 20:04 What she would recommend now – if you have leave do it correctly and don’t propagate the amazon woman lore. 23:37 The different experience with her second child. And the importance of a male colleague encouraging them to ‘do it right’ this time. 26:02 The pros and cons of remote participation at a PC meeting. 29:44 Strategies for making transitions between work and home and doing shifted working windows between them. 33:27 Her special mentor award for her women in computing group on campus and her passion about diversity work. 40:38 Lobbying upwards and learning how to get involved in the Faculty at a policy level. Having people to ask for feedback. 50:25 Reflections on setting up a group coming back to Indiana and establishing the family in the community. 55:41 Looking after her own health and wellbeing through goal-setting around running. 59:33 Dealing with illness, invisible illnesses, being an advocate for one another. 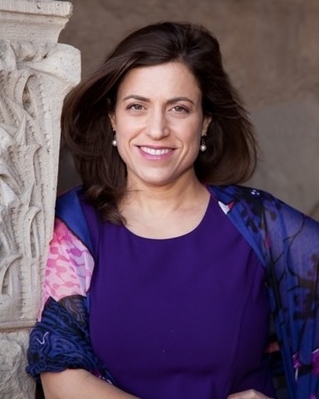 Leysia Palen is Professor and Founding Chair of Information Science at the University of Colorado Boulder. She has also led the establishment of the Crisis Informatics research area. Leysia shares her career journey in getting to this place, an amazing story of being a first generation PhD, dealing with imposter syndrome, and moving to a new university to support her spouse. It is also a story of focus and perseverance, defining a new research area, being supported by her own soft money, then finally getting a half-time faculty position, while at the same time having a family and growing the internationally recognised Project EPIC. It was only relatively recently that she got tenure and then quickly became a full professor. Leysia also talks the challenges and lessons learnt in setting up and leading a whole new department and what higher education can be in this era. For a full transcript, click here. 27:07 Eventually getting tenure, the challenges getting there, and juggling family, physical movement, and home/work, getting a full-time position in 2007 but still not tenured, eventually went for associate without tenure, then later with tenure. And then in a short time to full professor. 35:06 Being noticed by the campus for the impact she was having, the multi-disciplinary group, graduating 7 PhD students all women. Setting up a new department of information science. The opportunity to think about the nature of disciplines, what an ischool in 2015 could be like, and re-thinking education. 42:34 Learning to be a leader, no training pathways for leadership or role models for setting up a new department, and defining discipline vs department. 52:21 Final reflections and working with a 50 year view. Scott Robertson comes from a psychology and cognitive science background and is now a Professor in the Information and Computer Sciences Department at the University of Hawaii at Manoa. Scott shares the experiences of being rejected for tenure twice and how he dealt with that. His story is one of perseverance and courage, doing what you care about, and the importance of mentors and being part of a community. He is now in a tenured position and enjoying the freedom to follow his mission around civic engagement and to get back to acting. UPDATE: Scott has just been made Chair of his department! So not getting tenure is definitely not the end of a story! 01:30 His early career as a child actor eg on the Brady Bunch! Current acting interests and how it has enriched his academic and personal life – acting like HCI as understanding other human beings. And inhabiting another world. 19:10 In industry/research labs at IBM and US West in Colorado, doing quite different work than what he would have done in a psychology dept; chairing the CHI conference during this time and a talk he gave about the importance of the CHI community, an anchor. 26:40 Awareness of impact/risk re tenure? Didn’t think the shift of topic was not a good idea. “I feel like you have to do what you care about.” Never thought of them as risky decisions, never focussed on the tenure issue, focused instead on what he cared about. No regrets about anything. 57:00 Final thoughts – now can tell this story, “my responsibility to say that these things happen, and you can preserve through these things, but the critical issue is knowing who you are, …research direction and who you are as a person.” And realising you can jump across icebergs and be fine. And focussing on the larger community. Tom Rodden is a Professor of Interactive Computing and Director of Research for the Faculty of Science at the University of Nottingham. He has led the Mixed Reality Laboratory and founded and co-directed the Horizon Digital Economy Research Institute. He is currently Deputy CEO of the UK research funding council, EPSRC. In this podcast we cover lots of issues from personal career choices, what drives his research and dealing with insecurities and rejections, to bigger issues around funding models and metrics and what universities are about. He also discusses being part of a two-academic family and their strategies for managing this. "I am not an income source, I am a researcher!" 20:20 Advice from his grand supervisor - Do good work and everything else works itself out. 40:00 Always being able to find people that you feel are doing a much better job than you, and this is at every level. “Still the case for me. I still get nervous about things.” But having a better armory of coping tactics now. 50:45 Remembering ‘there’s always another’ and ‘it’s only a job’! 59:34 The ‘go home’ announcement! Judy Olson is Bren Professor of Information and Computer Sciences in the Informatics Department at UC Irvine. Judy reflects back on her career, on changes she has seen particularly the increasing expectations of hiring committees, on common issues people deal with, on blooming where you are planted, on paying it forward, on dealing with imposter syndrome, on the value of good colleagues/collaborators and on her work plans after retirement later this year. My summary of what Judy says is about being authentic, being strategic, not being afraid to make changes and finding good colleagues. ‘Eat That Frog! : 21 Great Ways to Stop Procrastinating and Get More Done in Less Time’ is a time management book by Brian Tracy, published 2007.